Clichéd induced groans inevitably followed our consensus. That is until we acknowledged the thought process is clichéd for a reason: it represents exhausted truths. Life back in the first world certainly seems to revolve around anything but the now. Many are in a rush to arrive to a future that never will. Others live in a past that won’t — and can’t — change; the present seems to be lost in the shuffle. 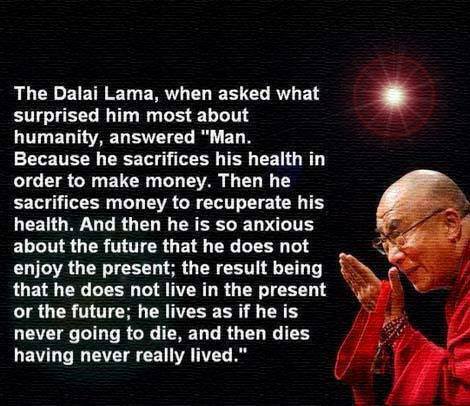 Which seems ironic because the present is the only time in which any of us can ever live. This is a notion I often forget, while other times debating its merit. I was born and grew up in Toronto, and am now back again after an intermittent time away. Over the course of my time abroad, I learned to live in the moment and take each day as it came. Though, looking back, I think that had a lot to do with subconsciously always knowing that my future was not in Costa Rica. Am I now glancing into a future because I know this is where I’ll be? I have no idea; and I’m more than alright with that. Truth be told, that’s how I prefer it. I’ve learned to be comfortable not knowing what will happen, and even more comfortable in knowing I can embrace challenges and important choices when they arrive. To date, decisions that have represented any hint of a hindrance in that regard has resulted in my shying away; though perhaps that’s an issue for my yet-to-be-named psychiatrist. But that’s just me. Others are much more comfortable knowing what will transpire and having a partially painted picture of both the near and distant future versions of themselves. The answer revolves around comfort and happiness, and if peering ahead while sacrificing a hint of the present solves that, all the better. Though most of us didn’t know him personally, we all connected with him; he was such a talented individual that his career spanned long enough to impact the majority of our lives, and I’m sure that’s exactly why Robin Williams’ death has had a similar impact on us as the death of a friend of family member would have; we all knew him, even if he didn’t know us. That is, we knew the public him. Without getting into any depth of the why — though I will say that any public discussion about the severe impacts of mental illness is a significant step in the right direction — it certainly shows how each life can head in a different direction. Robin Williams was an incredible performer and a once in a generation talent; his surprising battles with a debilitating illness make him both human and relatable. His death simply signals that we all have one, and we should do what makes us happy in the middle — not only following significant occurrences, but always. Nothing drastic, unless that’s the right choice; nothing ill-advised, save for the ones that are; nothing to sacrifice the future, except for those things that will. Balancing the two extremes is always the most difficult task. Use past experience and future ambition to shape the present you want. After all, that’s the only time we’ll ever see. That is, until we realize that all of this, too, is wrong.